This specific pistol, a Deutsche Waffen- und Munitionsfabriken (DWM)-produced Model 1908 9mm Luger, has the serial number 2335 b. Given the contract between DWM (whose factory was at Berlin) and the German government (for 50,000 pistols) that required delivery of the first 3,000 pistols to the German Army by March 31, 1909, the requirement that DWM provide 2,000 pistols each month thereafter, and the serial number sequence system (9,999 with no subsequent letter, and then 9,999 followed by the letter a, 9,999 followed by the letter b, etc. ), it would appear that this particular weapon arrived to the German Army in January 1910. The weapon has a unit marking on the front grip strap of B. 8. R. 1. 3. This marking corresponds to the Bavarian 8th Infantry Regiment, specifically the 1st Company. The last digit, 3, indicates that it was the third weapon in the company’s arms room. We do not know exactly when the unit received this pistol, but it was certainly no earlier than February 1910, and probably within that year. The weapon has the word Germany stamped on the left side of the frame. This is an export mark stamped on the weapon, probably in the 1920s, when Germany – economically distressed due to the provisions of the Versailles Treaty – exported for sale surplus weapons from the reduced-size military. This would indicate that the weapon probably remained with the 1st Company for the duration of the war. The Königliches Bayerisches 8. Infanterie-Regiment Grossherzog Friedrich II von Baden (the Royal Bavarian 8th Infantry Regiment, “Grand Duke Friedrich II of Baden”) was originally formed on October 10, 1753. In the First Schleswig War in 1849, the regiment fought at the Battle of Düppel on April 13, 1849. In the Austro-Prussian War in 1866, it fought against the Prussian Army in battles at Nüdlingen on July 10, and Helmstadt on July 25. During the 1870/71 Franco-Prussian War, the Royal Bavarian 8th Infantry Regiment participated in the Siege of Bitsch and the Siege of Paris. Prior to World War I, the regiment was assigned to the 4th Royal Bavarian Division in the Second (II) Bavarian Army Corps, which was headquartered in Würzburg. After mobilization, the regiment was stationed at Metz; its parent formation was the 8th (Royal Bavarian) Infantry Brigade, in the 33rd Reserve Division. At the beginning of World War I, the Bavarian Army had an effective strength of 4,089 officers, physicians, veterinarians and officials; 83,125 NCOs and other ranks, as well as 16,918 horses. With the beginning of mobilization on August 1, 1914, the supreme command of the Bavarian field army passed from the 4th Army Inspectorate to the German Emperor. Units that remained in Bavaria remained under the command of the Bavarian War Ministry. The Bavarian Army — consisting of the three Bavarian Army Corps, the Bavarian Cavalry Division — was joined by some additional Prussian units and transported to the Western Front, where it would become a crucial component of the German Army. After the Armistice in November 1918, the regiment moved from the Western Front to Bad Kissingen, where it was demobilized on December 18, 1918. The former regimental staff became the nucleus for the 46th Infantry Regiment in the Reichswehr beginning in June 1919. During the first year of World War I, the 33rd Reserve Division served on the Western Front, fighting in the Battle of the Frontiers against French forces in the early stages, as a part of the XVI Corps (General of Infantry Karl Bruno Julius von Mudra) in the Fifth Army (Crown Prince Friedrich Wilhelm of Prussia), initially moving through Luxembourg and southern Belgium. 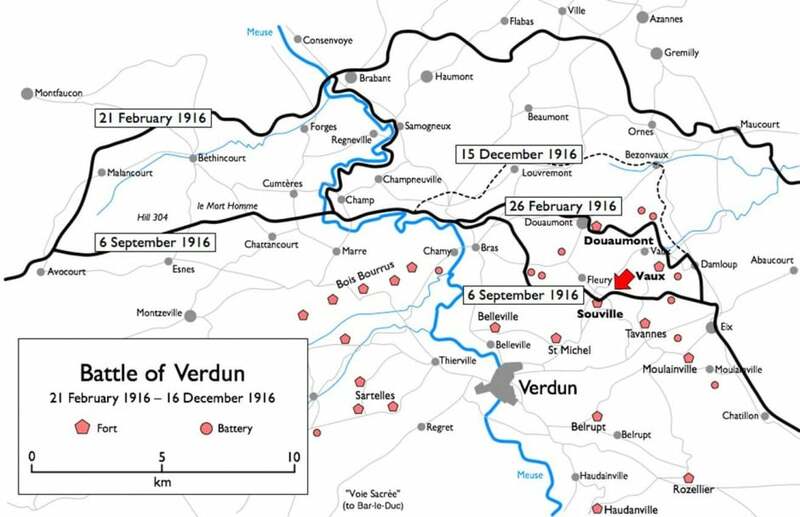 In August 1914, the division took part in the battles of Nomèny and went to Verdun by way of Gondrecourt, Rouvres and Étain (halfway between the nearest German town and Verdun,) suffering heavy casualties in the latter on August 24 and 25. On August 26, the 10th Company of the Royal Bavarian 8th Infantry Regiment, for example, had only 75 men left. At the beginning of September 1914, the division occupied both banks of the Moselle River south of Pont è Mousson and about September 15 moved to the vicinity of Thiaucourt. The division remained there until the end of September and the beginning of October it went back into the sector south of Étain at Riaville and Bracquis. On October 8, 1914, the 8th Bavarian Brigade attacked at Champlon and Fresnes. After these battles, the 33rd Reserve Division took up defensive positions on the Cótes de Meuse (Combres, Les Éparges), 20 miles southeast of Verdun, and remained there until July 1916. The regiment distinguished itself at the Battle of Eparges (in German, the Combres-Höhe Schlacht) in March and April 1915. The hill, actually an elongated ridge about three-quarters of a mile in length, elevated 300 feet above the Woëvre Plain. On either side of the rise were the villages of Combres (on the German side of the front) and Les Eparges (on the French side.) The fighting began in January 1915, when the Germans fortified trenches on top of the hill, while the French 12th Infantry Division dug in on the northern and northwestern slopes. The French detonated a huge underground mine on February 17, 1915 that breached the German forward line. On March 18, 1915, traversing a sea of gelatinous brown mud, the French attacked up the Combres Heights, penetrating the German positions on the northwest slope. The 33rd Reserve Division, now under the V Corps (General of Infantry von Oven) launched a counterattack late on the morning of March 19 and regained much of the lost ground. The French finally captured the summit on April 9, but the 33rd Reserve Division immediately established a trench system to the east of the crest, which they named the Kamm-Stellung (Kamm Position) that the French were never able to seize. In August 1916, the high command transferred the Royal Bavarian 8th Infantry Regiment to the newly-formed 14th Bavarian Infantry Division (commanded by Major General Otto Ritter von Rauchenberger), along with the 4th Bavarian Infantry Regiment and the 29th Bavarian Infantry Regiment. The division, part of the XVIII Reserve Corps (General of Infantry Kuno Arndt von Steuben) took up positions at Verdun, going into the line at the end of August, 1916, in the Vaux-Chapitre Wood, northeast of the city. It launched a violent attack (see red arrow on map) against French positions on September 3, one kilometer to the southwest of Fort Vaux on both sides of the Ravin des Fontaines, advancing to just one kilometer from Fort Souville, fighting heavily until September 9, and continued to hold this sector until October 10, as part of the Battle of Verdun. Fort Souville dominated the heights from which the “Nez de Souville” (Souville Nose or Souville Nase in German) protruded. While the “Nose” was occupied by the French, the Germans were in position on the slopes to the west (in the direction of Fleury) and east (in the direction of Fort Vaux) to utilize the Ravin des Fontaines (Fontaines Ravine, known to the Germans as the Souville Schlucht) to advance south. Covering the “Nose” was the remains of the Chapitre-Woods, which bordered on the Fumin-Wood east of Fort Vaux. The Fontaines Ravine became known as the “Ravine of Death.” With German capture of Fort Vaux on June 7, 1916, the first of two lines of French permanent fortifications had been breached. If the Germans breached the second line on the heights overlooking the town, Verdun would fall. Fort Souville was the focus of German attacks on the second line, and its successful defense was the turning point in the battle. On July 12, German troops reached the fort, but were repulsed by an artillery and infantry counterattack. The attack by the Royal Bavarian 8th Infantry Regiment and other units was the last desperate gasp to break through. During the entire battle, the German Army at Verdun suffered 143,000 killed in action out of its 337,000 total casualties. At the end of October, the division’s 29th Bavarian Infantry Regiment, whose losses around Vaux were considerable, was dissolved and replaced by the 25th Bavarian Infantry Regiment. After this reorganization, the 14th Bavarian Infantry Division went back into line on the Hauts de Meuse (“Calonne Trench,” a long road running for more than 25 kilometers through the wooded area south-east of Verdun into what became known as the Saint Mihiel Salient) on October 22. Relieved at the beginning of November 1916, and sent to rest, it was then sent to the Somme, where, about November 26, it took over the sector north of the Ancre River. The 14th Bavarian Infantry Division left the Ancre front (east of Amiens) at the end of January 1917, passed the month of February at rest in the Denain area, and came back into line on the Somme northeast of Gueudecourt (south of Bapaume) on February 26. It was withdrawn on March 20 at the time of the German retirement from the area. At the beginning of April, under control of the Sixth Army (Colonel General Ludwig von Falkenhausen) it went into action against the British 1917 offensive (Battle of Arras.) Falkenhausen favored the “gruppe” system of flexible battlefield command, in which corps headquarters formed the nucleus of responsive formations organized and equipped as necessary. 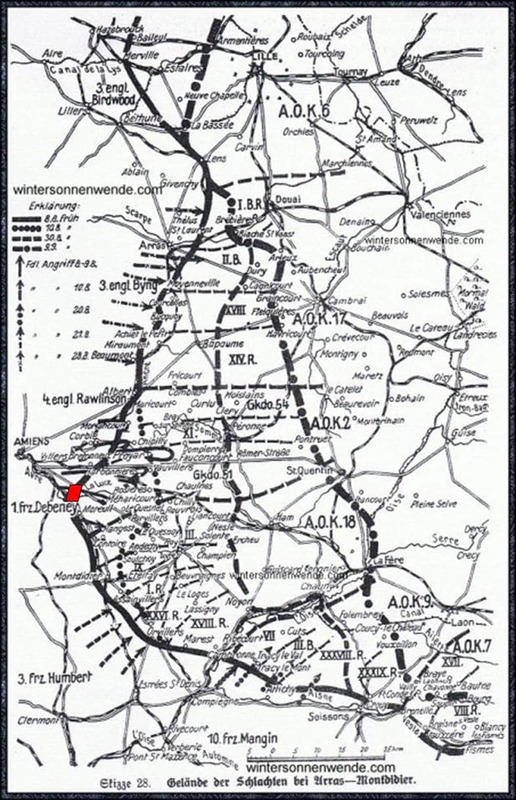 As a part of Gruppe Vimy (General of Infantry Karl von Fasbender) the 14th Bavarian Infantry Division took up defensive positions on the northern side of the Scarpe River and fought against the British 34th and 9th Infantry Divisions of the XVII Corps near Roclincourt (a village just east of the road from Arras to Lens), suffering heavily (about 2,800 prisoners on April 9, 1917.) The second and third battalions of the Royal Bavarian 8th Infantry Regiment were rendered combat ineffective. Sent to rest in Belgium, the division remained for several days in the Ghent area, and then entrained for the Eastern Front on April 26. About May 14, it went into the line near Lipsk (south of Baranovichi); in June it took over the sector of Tsirin, where it remained until the end of the August, when it transferred to the Riga Front. At the Battle of Riga, as part of the German Eighth Army (General of Infantry Oskar Emil von Hutier) and German LI Corps, the 14th Bavarian Infantry Division, at 9:10 a.m. on September 1, 1917 crossed the 200-yard-wide Daugava River (also known as the Western Dvina River and in German the Düna) at Űxküll (Ikšķile in Latvian, 20 miles southeast of Riga) on assault boats, neutralizing a heavily-fortified island in the middle of the river, before continuing on to the north bank. To its left was the 2nd Guards Infantry Division; while to its right was the 19th Reserve Infantry Division. 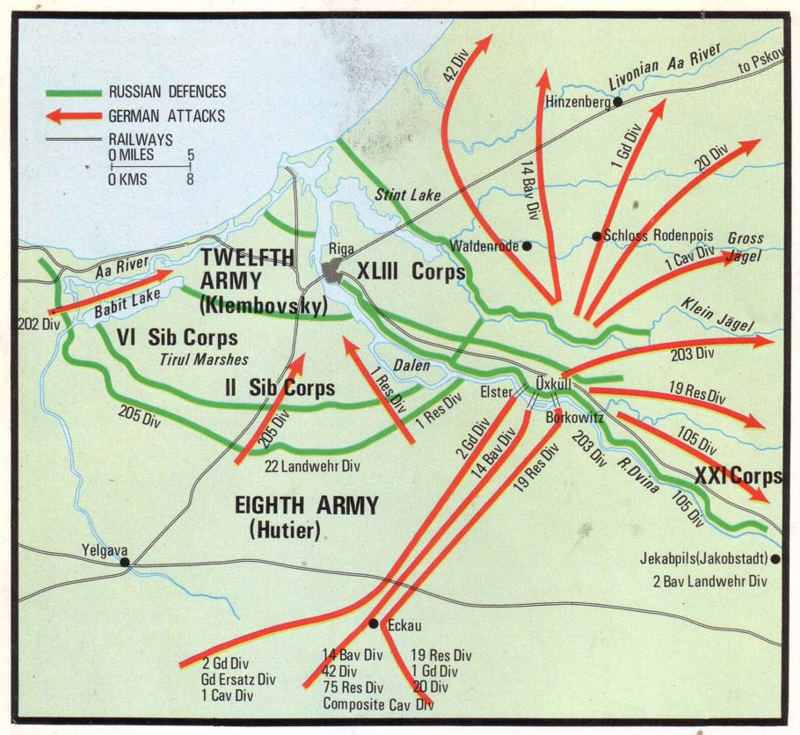 Once the three divisions were on the far bank, they quickly overran the forward defensive positions of the Russian Twelfth Army (General Vladislav N. Klembovsky) using new assault-troop (Stosstrupp) infiltration tactics to breach the forward defensive positions beginning in the dunes on the riverbank and continuing to the rear in three to four lines of trenches. 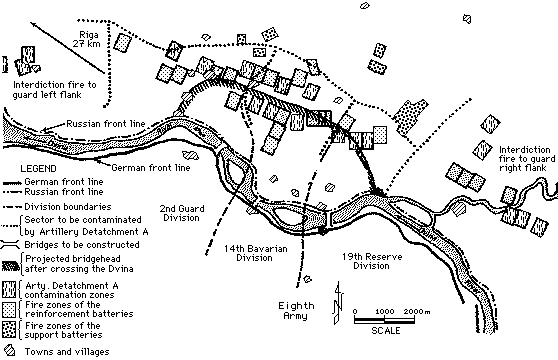 It marked the first time that such tactics were used on a large scale combined with new fire support tactics developed by Colonel Georg Bruchmüller – characterized by bypassing any strong points as they move forward, assault troops armed with light machine-guns, grenades and flame throwers focus on quickly infiltrating the rear areas to disrupt communications and take out artillery. German pioneers quickly constructed pontoon bridges and three additional infantry divisions reinforced the attack. By the end of the day, the German bridgehead was eight miles wide. Riga fell late on the afternoon of September 3 as the German Army marched into the city. The advance gained 24 miles by September 21 and sent the Russian Army reeling. At the end of October 1917, the 14th Bavarian Infantry Division was sent south to Galicia, moving to Tarnopol. The defeat at Riga boded ill for the Russian Kerensky government that had overthrown Tsar Nicholas II earlier in the year. On November 7, 1917, an armed uprising led by radical Bolsheviks toppled the provisional Kerensky government; Vladimir Lenin rose before the newly formed All-Russian Congress of Soviets the following day to call for an immediate armistice with the Central Powers. This occurred on December 2. With an armistice secured, massive numbers of German divisions were free to move west and the 14th Bavarian Infantry Division left the Tarnopol area on December 19 for the Western Front. On January 12, 1918, it relieved the 7th Reserve Infantry Division in the Mont Haut sector. It was relieved by the 80th Reserve Infantry Division on April 22. On April 26, the division began moving to a new sector. On May 3, it relieved the 208th Infantry Division in the Hangard sector (southeast of Amiens.) 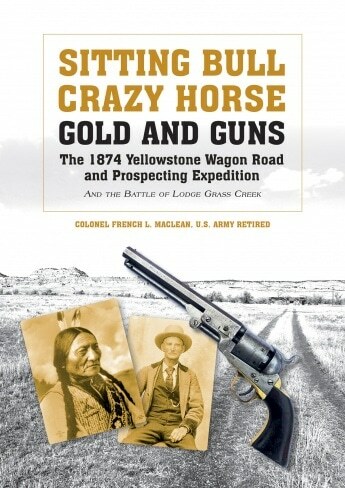 It was subsequently relieved on May 21 by the 225th Infantry Division. The division remained in close support, and relieved the 15th Infantry Division one sector to the south two days later. On June 20, 1918, the high command withdrew the division from the front line and it rested in the rear of the front for the next month. The division was in the line again on August 29, 1918 northwest of Villers-Carbonnel (southwest of Albert-Péronne), but was withdrawn on September 2. Soon thereafter, the 14th Bavarian Infantry Division was disbanded on September 10, with the Royal Bavarian 8th Infantry Regiment going to the 16th Bavarian Infantry Division. With this division, the regiment was engaged north of Ypres and west of Roulers (Westroosebeke) from September 28 to October 5; losses were heavy. Pulled out of the line for ten days, it returned to combat on October 15 southwest of Thourout. Within four days, it was forced back to the southeast of Bruges. The Royal Bavarian 8th Infantry Regiment was located in Belgium when the Armistice went into effect. If only that Luger could talk! Having said that, with the unit marking, it is talking.